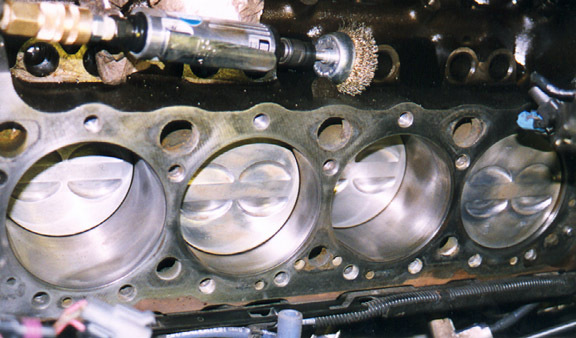 Here are some pictures of the Ported and Polished Heads I put on my car. If you click on the picture you can view a larger version of it. 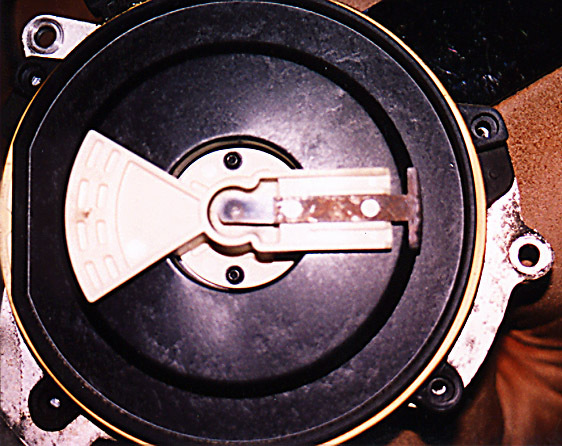 Here is a picture of both heads and close ups of the head's compression chambers. Larry did a great job on these! You should have seen what he had to start with. 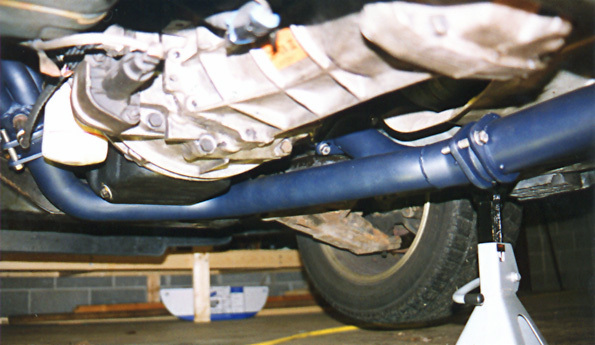 Larry used a Thermal Barrier coating on them as well as the exhaust ports to keep compression chamber and engine temps down. 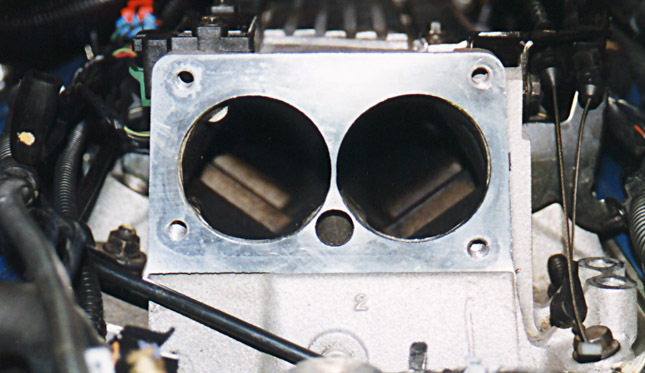 Cooler intake charges and compression chambers makes more horsepower. 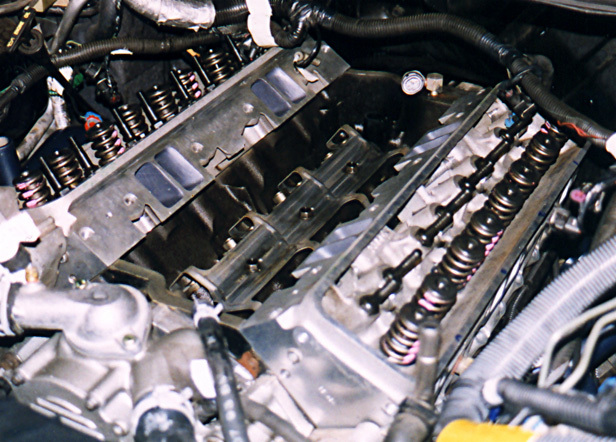 This left picture is of the intake runner. It has a dry lubricant film coated on it. 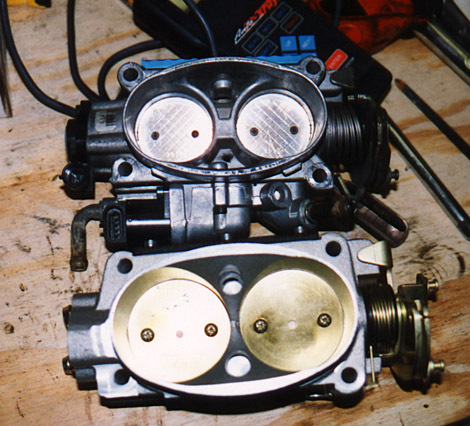 On the right is a top view of one of the heads and you can see the K-Motion K-700 springs and the ARP Rocker studs. I wish I had taken a closer picture of the ARP studs vs. the stock studs. There is an incredible difference in the quality! 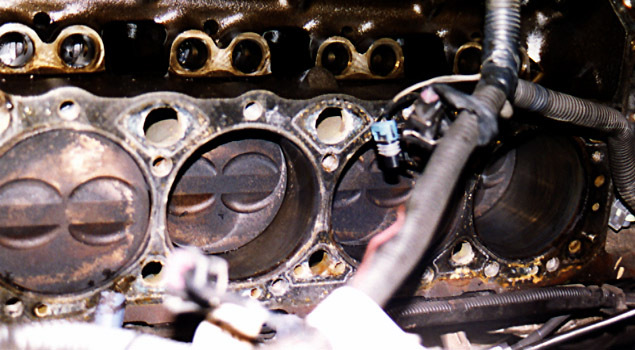 You can also see a little of the dry film lubricant on the intake runners. 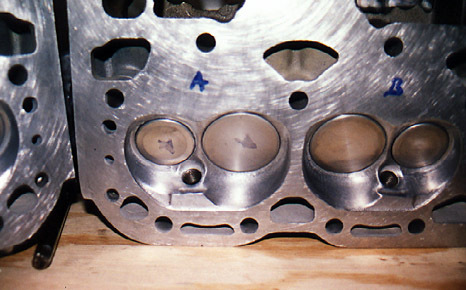 Here are some pictures of the engine block before and after the #1 piston was cleaned. 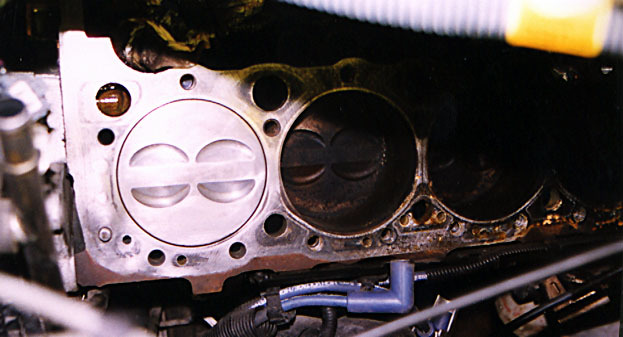 Eventually the entire engine block looked like the #1 piston of the picture on the right. 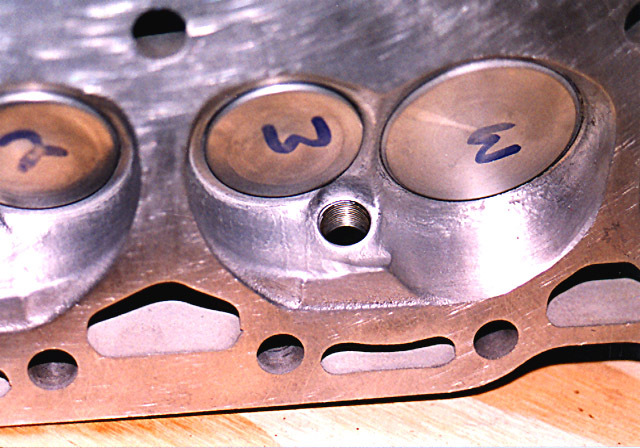 There was a lot of carbon build up on the compression chambers, the pistons and on the back sides of the valves even! This is with only 50K miles on the car. I thought this was odd, but most I have talked to say it is common in cars with today's current emission controls in place. The Throttle body and intake manifold were also completely coated with carbon (EGR?) and oil residue (pulled from crank case vent). This is a picture of the block with just about everything removed. This was a very scary sight to me every time I looked at it since I had never attempted anything like this in my life! A true learning experience. 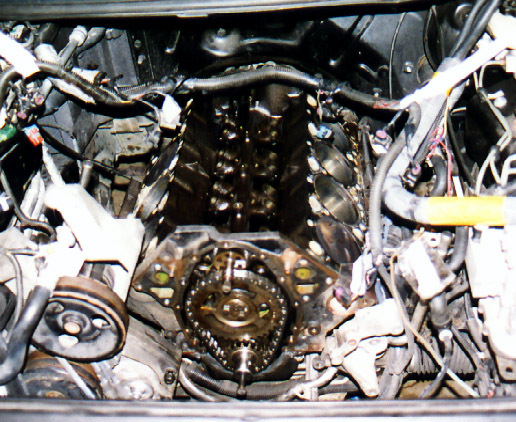 Here is a picture of the distributor (Opti-Spark) of the LT1 with the cover removed. Notice how corroded the rotor is. The terminals on the inside of the cover for the spark plug wires were equally corroded. Since it was off the engine I decided to clean it. It is a real pain to get to otherwise. 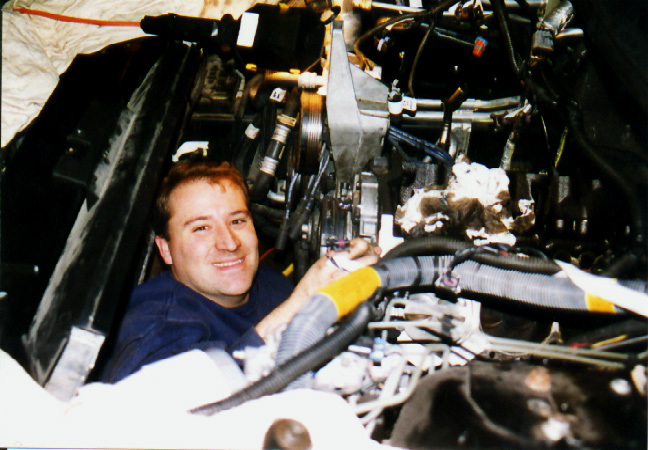 The picture on the right is of me sitting up in the front of the engine bay. If you have ever seen the engine bay of a Fourth Gen Z28/Formula/TransAm, you would know that space is very limited. Although, without the radiator, crank balancer/hub, coolant hoses, fans, water pump, air pump, or distributor it really isn't too bad. 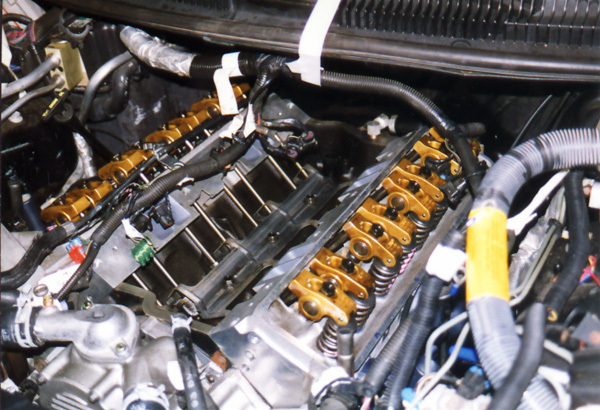 I think that here I was tightening up the timing cover bolts shortly after the cam install. 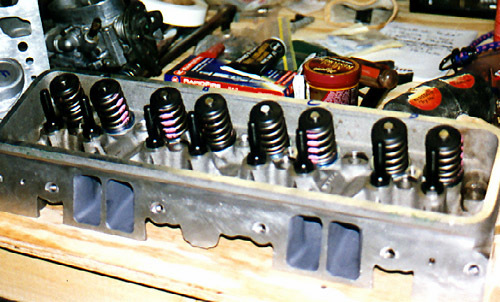 Here are a couple of pictures after the heads were placed back on the motor followed by the Rocker and pushrods. Here are some pictures of The BBK 58MM Throttle Body I installed on my car. Also, a comparison of stock(top) v.s. 58MM BBK T.B. 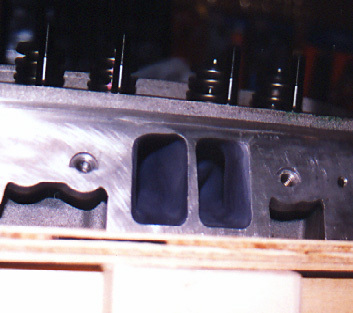 and finally a picture of the intake manifold that was bored to 60mm in order to take advantage of the 58mm T.B. Here is a picture of the Techline Thermal/Corrosion Barrier Coating that I sprayed on the headers, y-pipe and Off-road cat pipe. 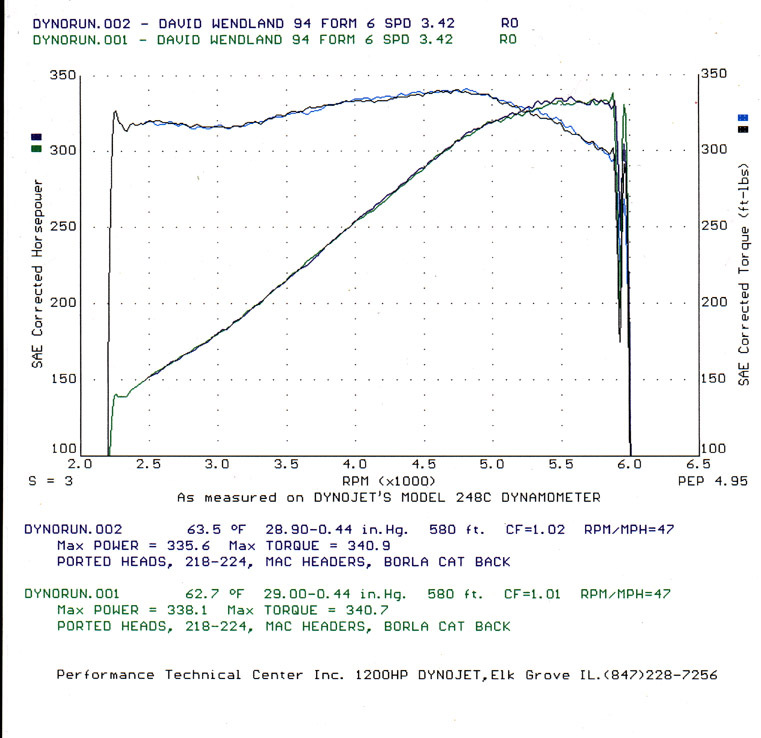 Don't Forget to check out my Dyno Graph. The car is currently making 397HP and 401 ft-lb of torque at the crank (corrected for 15% drivetrain loss). On separate occasions I have run a 13.24 sec and 107.43mph in the 1/4 mile both with 2.2+ 60' times so shaving the 60' time down to a 2.0 with better traction would put me in the high 12s.